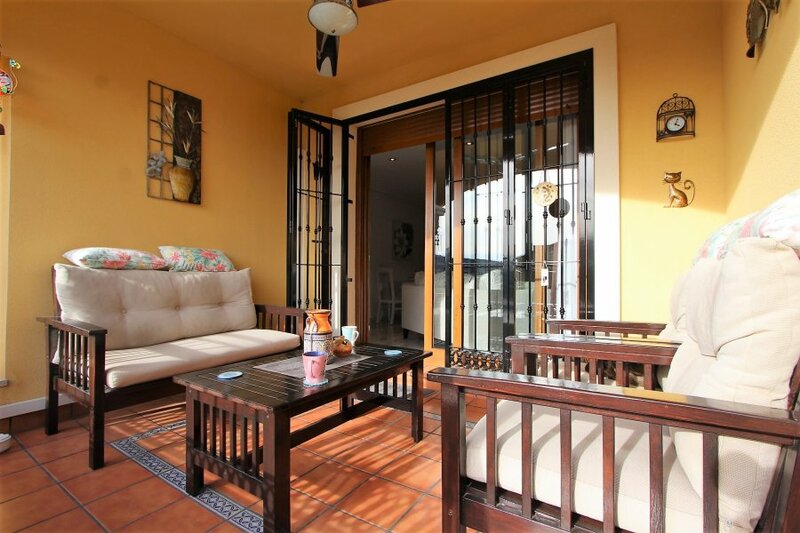 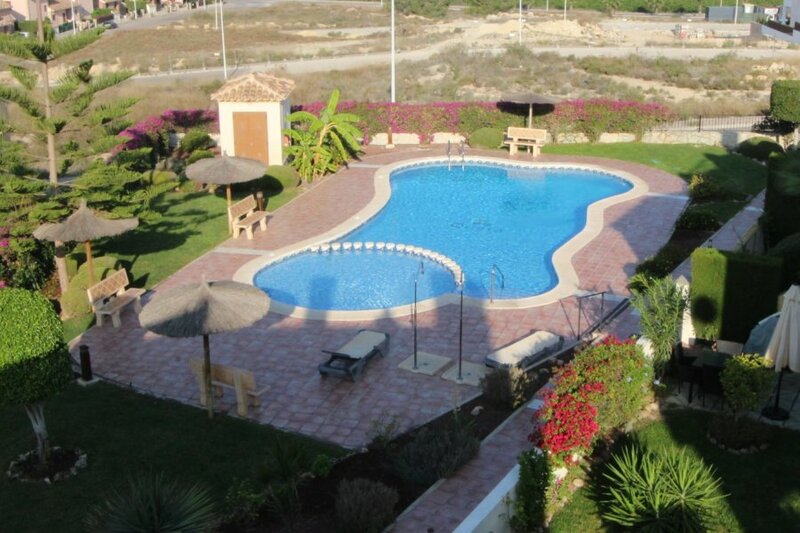 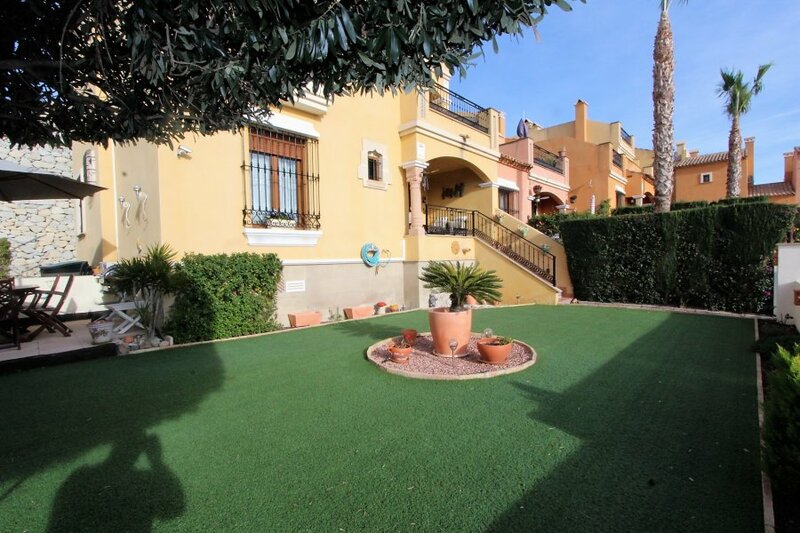 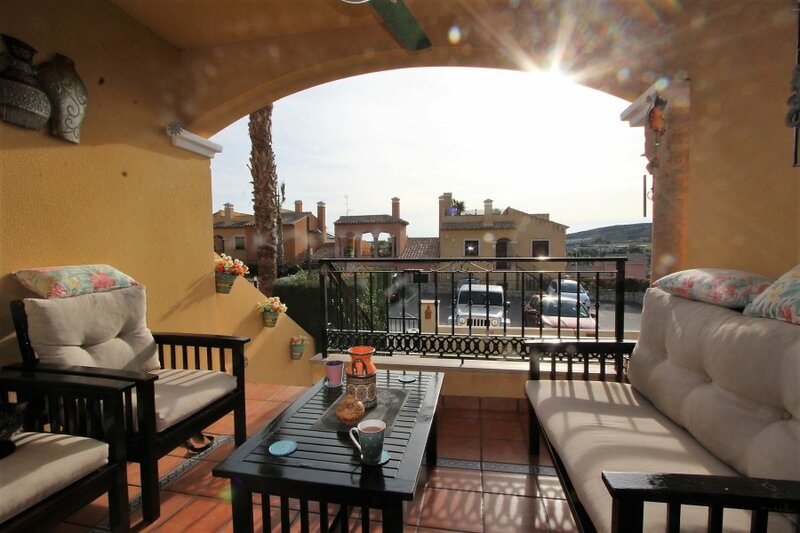 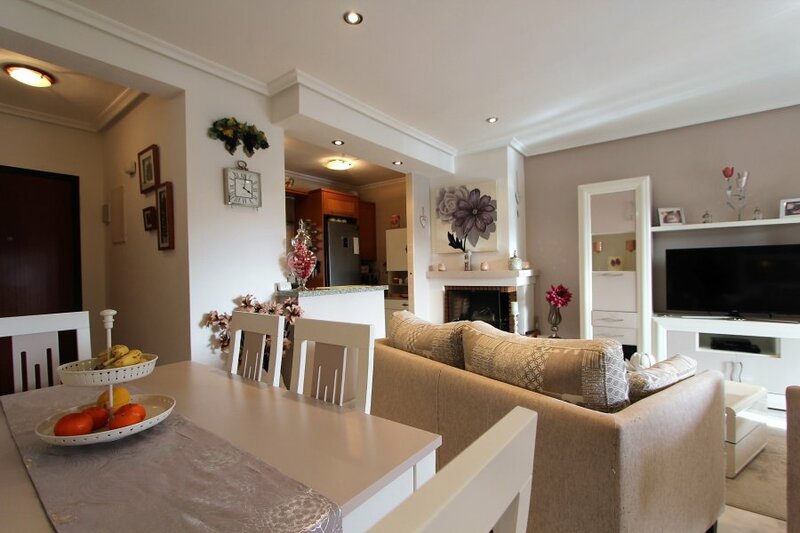 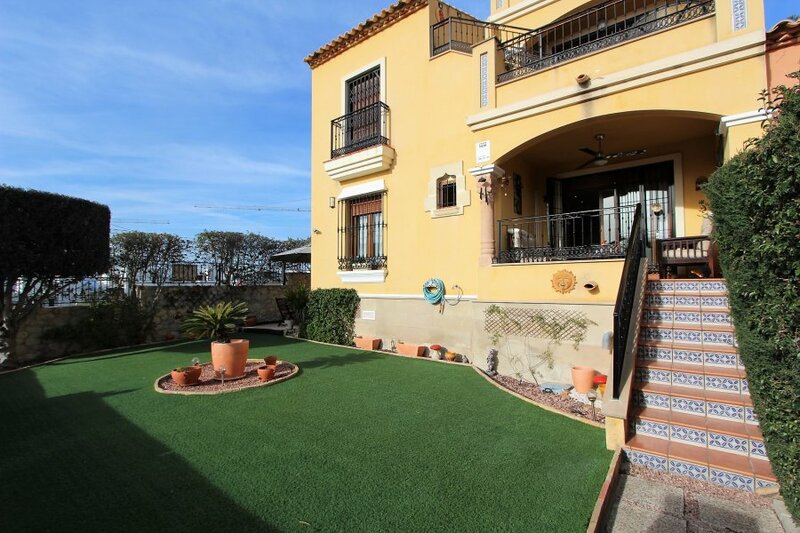 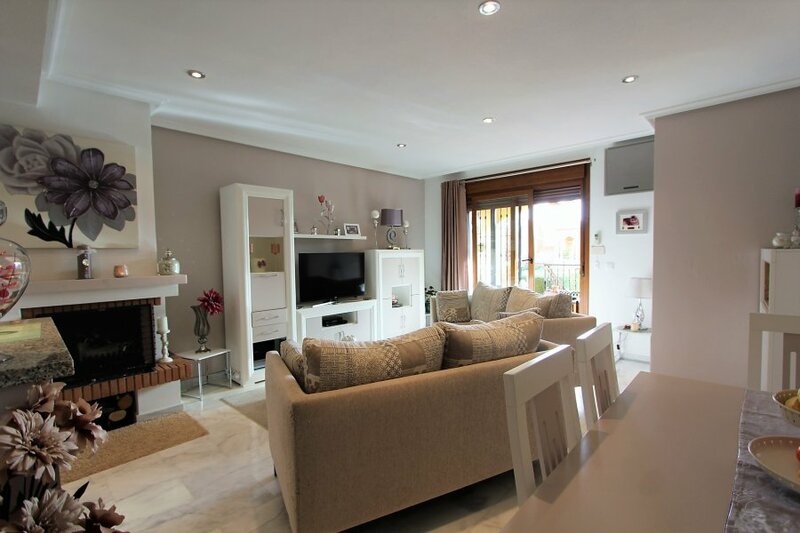 We are pleased to be able to offer this “BEAUTIFUL GROUND FLOOR APARTMENT” which is located on La Finca Golf Resort. 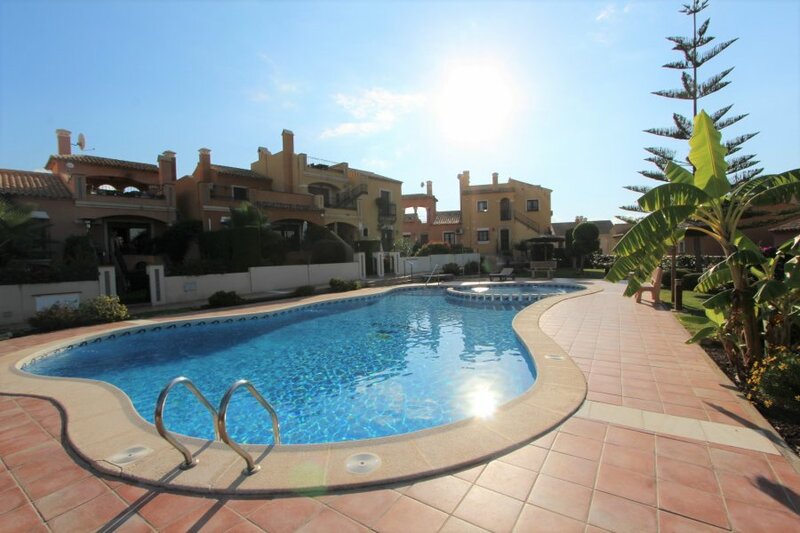 This apartment sits on a large corner plot in a quiet area of the community, close to the communal gardens and swimming pool, it is only a short drive to all the amenities, including a wide choice of bars, restaurants and shops. 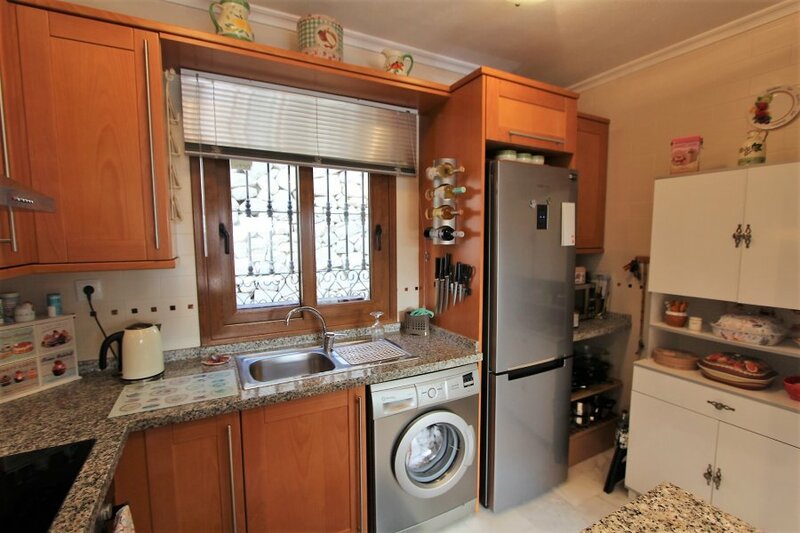 This desirable property, has been furnished to a very high standard and includes quality appliances and furnishings and is being sold part furnished (negotiable with the owner). 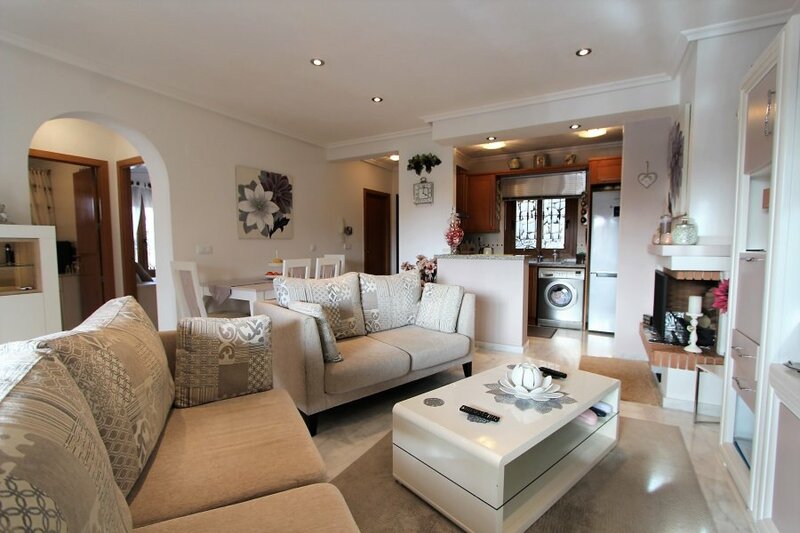 The property comprises of an open plan fully fitted kitchen, that looks out onto a lounge/dining room which is a good size and has a feature fireplace, as you walk round there are glass sliding doors that take you out to a beautiful terrace which is an ideal area to sit in the afternoon sun with a book or with a drink the choice is yours? 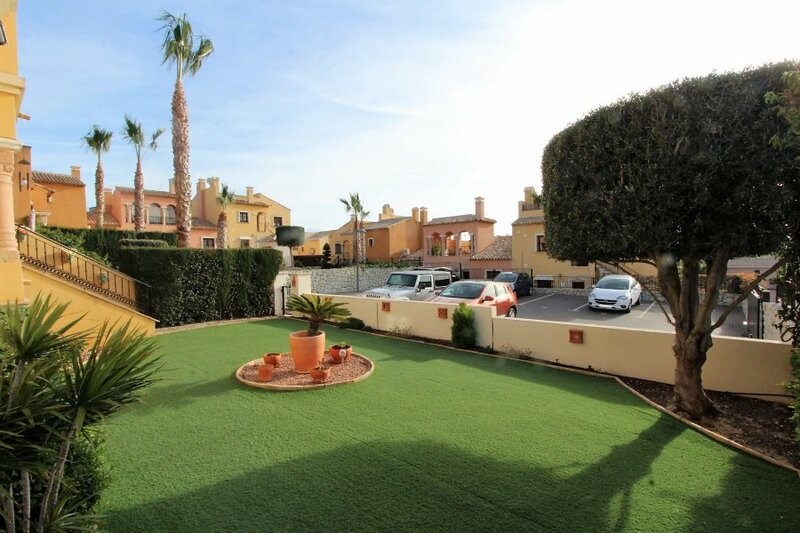 There are steps down to a landscaped garden which is south-west facing and has artificial grass for easy maintenance, as you move round the garden you find a lovely patio tucked away for those summer evening BBQ´s. 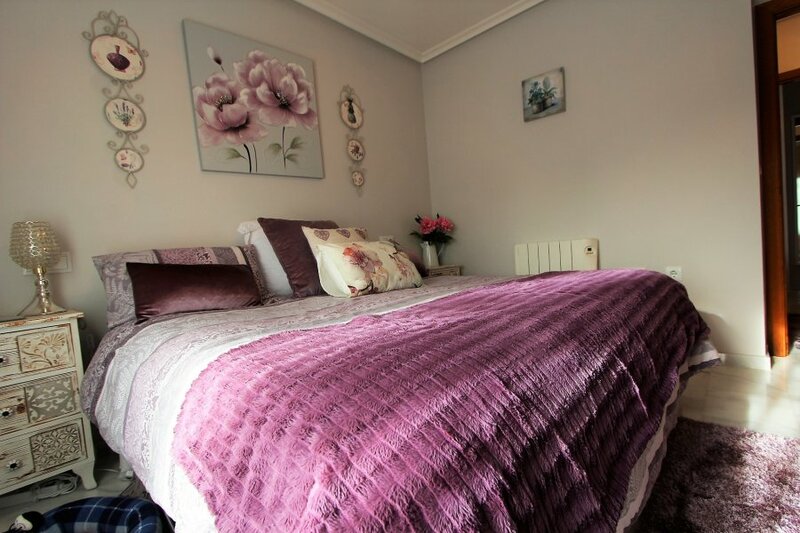 Moving back inside you have two large double bedrooms with fitted wardrobes, electric wall heaters and ceiling fans, with the master bedroom having its own en-suite shower room, plus a separate family bathroom. 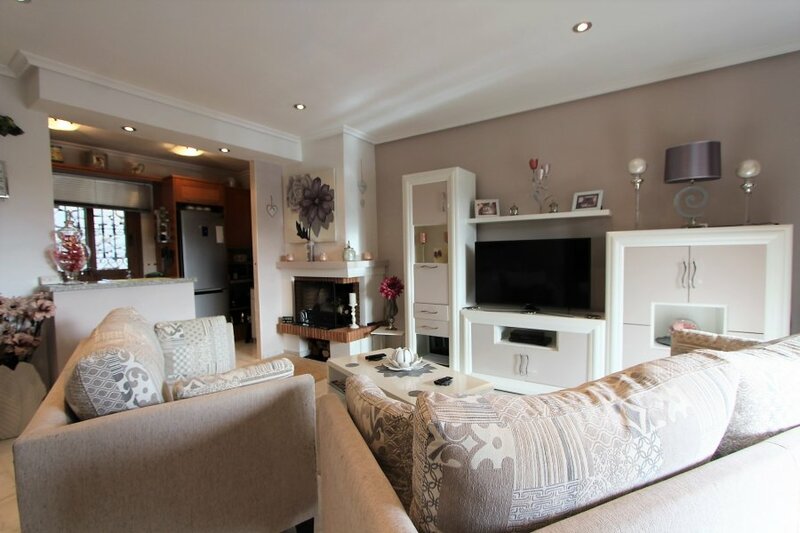 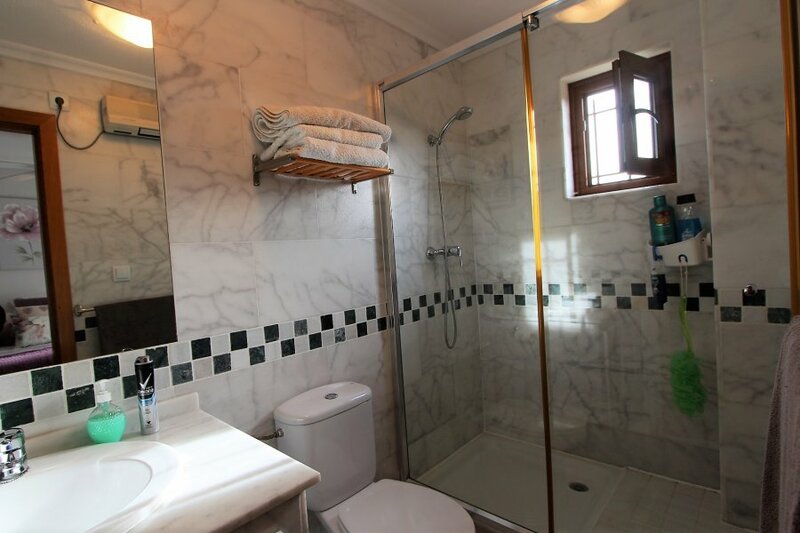 This property has several extras included such as: sold part furnished, security grills and shutters, recently purchased white goods and a new boiler to name just a few. 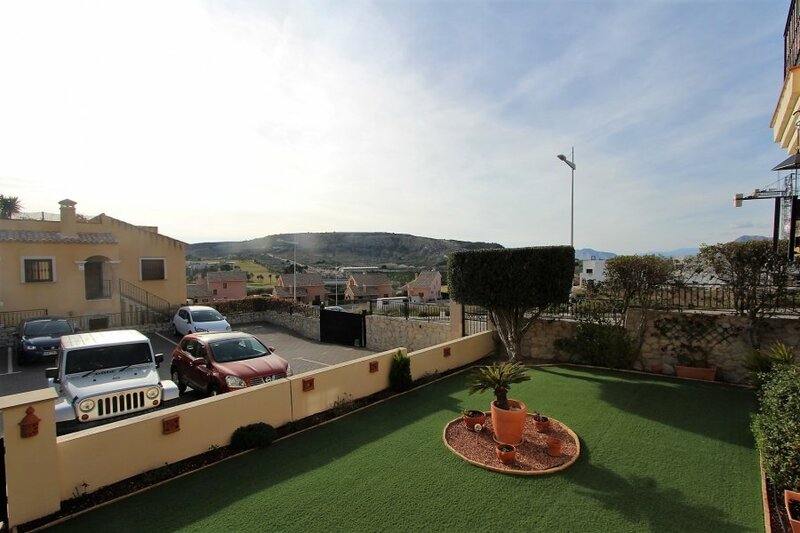 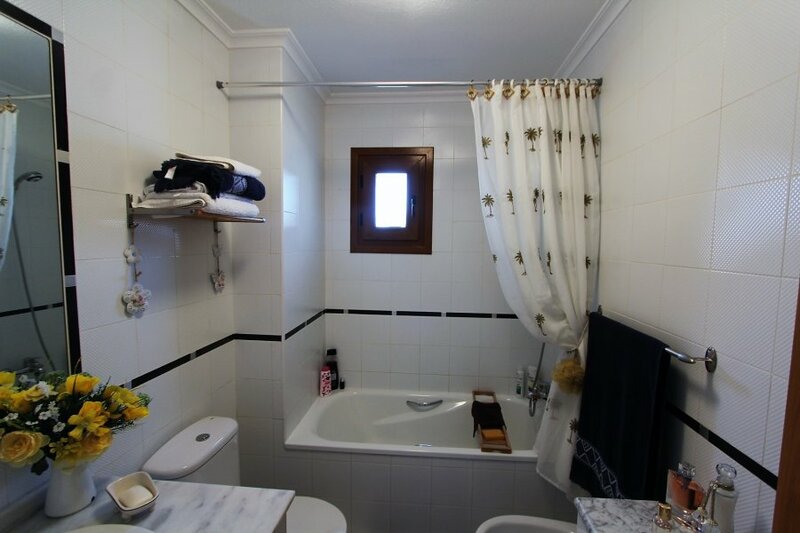 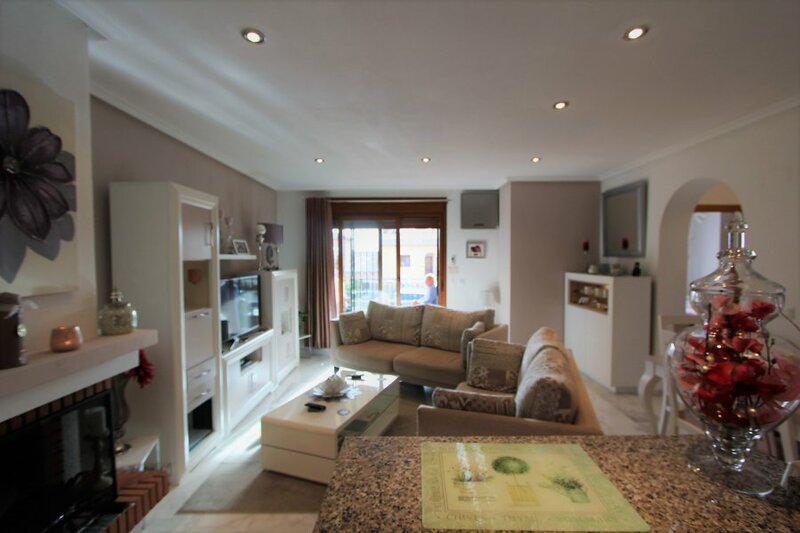 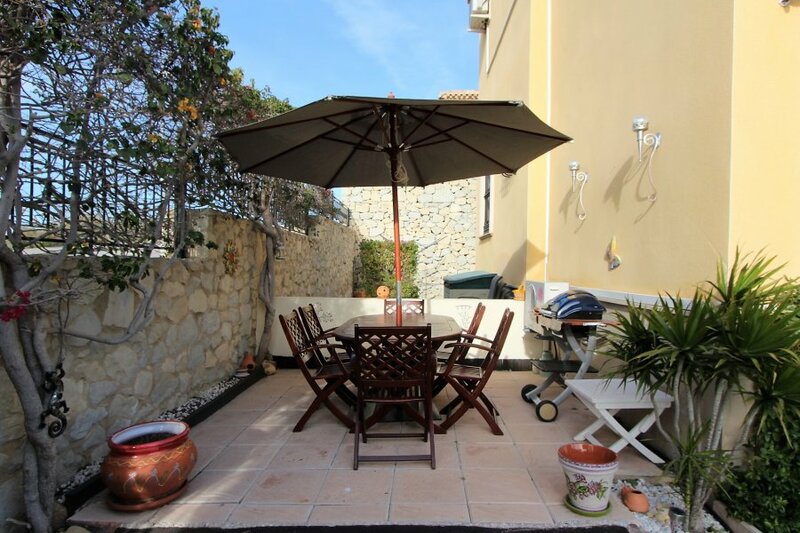 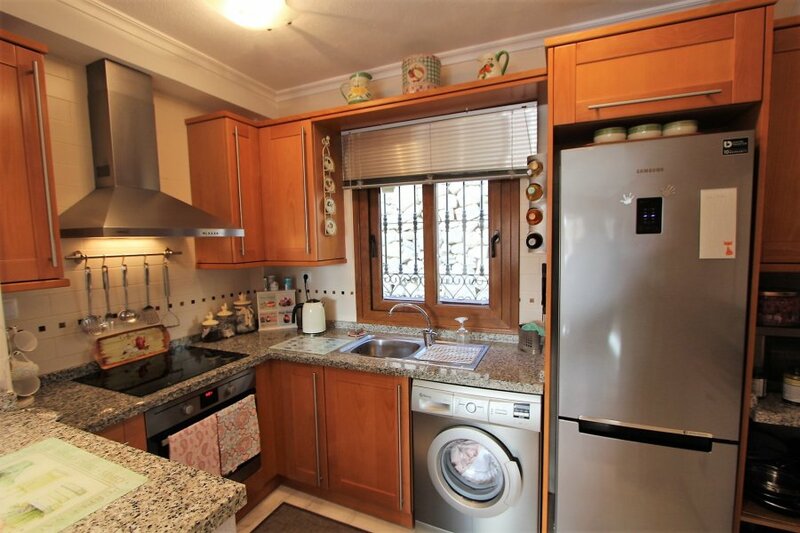 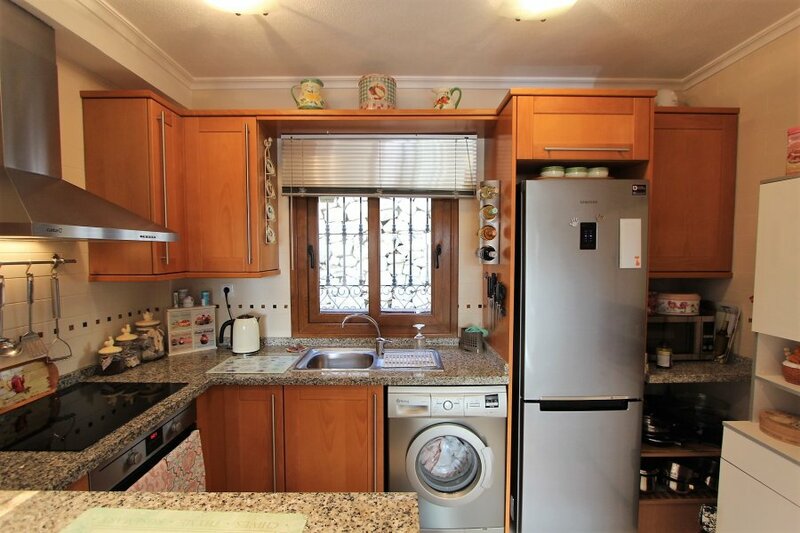 This property is available for 124,995 euros, so contact us today to ask any specific questions or to arrange a viewing.